You are here: Home / Dental Health / Why Do I Grind My Teeth at Night? Many also believe that an improper bite and tooth misalignment can cause bruxism. People who are taking certain drugs such as antidepressant medicine and those who have neurological disorders like Parkinson’s disease are also known to experience bruxism. If somebody has told you that you clench or grind your teeth while sleeping, or if you suspect that you do, visit your dental professional immediately. Your dentist will perform a thorough evaluation of your dentition; checking for signs and symptoms of teeth grinding. Frequent dental visits can greatly help address teeth grinding so you are able to experience a more restful sleep. Why is it Important to Address Teeth Grinding? Teeth grinding needs to be addressed because it harms the teeth. It often results to chips, cracks, fractures and even tooth loss in some cases. Bruxism has also been linked to TMJ disorder since it places extreme pressure on the jaw. Additionally, people who grind their teeth are often the ones who have sleep apnea, a condition wherein breathing lapses occur during sleep. Sleep apnea leads to problematic conditions like depression, mood swings, extreme drowsiness and many more health problems. 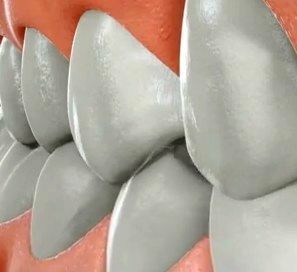 The only way to avoid all these dental and health issues is to address teeth grinding as soon as possible. How Can the Dentist Help Stop Bruxism? The dentist can help stop bruxism with the use of a customized mouth guard. Your dental impressions will need to be taken so the dentist can have your mouth guard fabricated at an outside lab. The dentist will then give you the mouth guard once it is done. All you need to do is to wear the mouth guard during sleep. The mouth guard does two things: controls bruxism and protects the teeth from damage. How Does a Mouth Guard Control Bruxism? The mouth guard repositions the tongue during sleep while it creates a block the moment you clench or grind your teeth unconsciously. Once your teeth hit the device, reflex action tells you to withdraw from biting; thus, stopping teeth grinding. The use of a mouth guard has helped many people suffering from bruxism. Avoid sleeping immediately after eating a full meal. Allow yourself to digest the food that you just ate for at least 2 hours. Avoid drinking alcoholic and caffeinated beverages and taking sleeping pills. Consumption of these items intensifies teeth grinding. Do relaxation exercises every day. You can do yoga or stretching exercises to help relax your mind and body. Many patients often come to us and ask, “Why do I grind my teeth at night?” At Buckhead Dental Partners, we won’t just give you the answer as to why you grind your teeth, but we will also help you stop teeth grinding. We can give you a customized mouth guard to control bruxism. Visit us today at 309 E. Paces Ferry Rd. Suite 602 Atlanta, GA, or give us a call at (404) 261-0610.